Dengensha America, Bedford, OH, has debuted a capacitor-discharge welding (CDW) machine that minimizes heat transfer and distortion problems during resistance spot welding. The compact machine reportedly is easy and intuitive to set up, and offers fabricators numerous features designed to optimize weld quality. 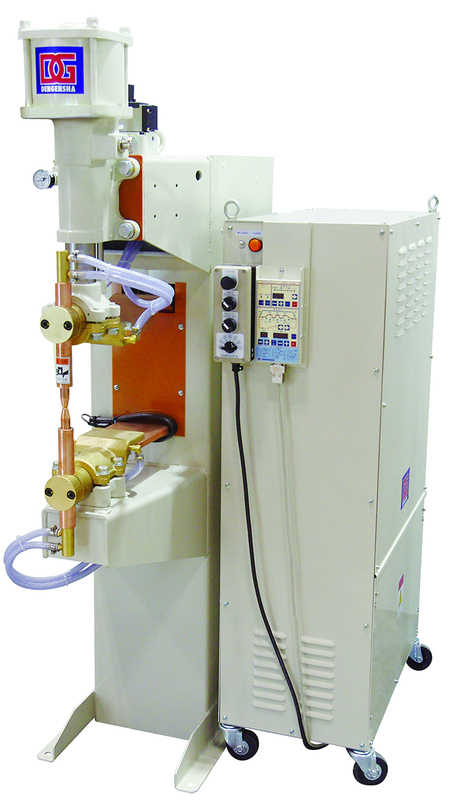 The CDW machine operates with weld current to 50 kA, yet requires only a 6-kVA power supply. High current in short bursts minimizes heat transfer and workpiece distortion, even when the power supply is unstable. Along with offering fabricators a broad range of part-production potential, the CDW machine proves ideal for welding small projection parts of high-strength steels and aluminum alloys. The NDZ-series CDW machines are designed with unique, selectable current-control modes that enable users to fine-tune weld quality. Selectable modes include Energy, Peak Current and Constant Current/Time. For example, users can optimize weld quality by setting the first weld to the Energy mode for weld strength, and then the second weld to Constant Current for post-weld heattreatment.